It’s kind of ridiculous to ask, “What if Jesus were on Twitter?” But indulge me for a second, anyway. I’ve noticed something about our generation’s engagement online and with those we consider “Christian celebrities”—famous pastors or church leaders who have big platforms. There’s a tendency among those of us who blog, tweet, write, post, instagram, etc. toward a subtle kind of Phariseeism. Our generation prides itself on not being legalistic, of casting off the sort of religious, rule-making paradigm we didn’t quite like about our parents’ version of church. But in our zeal to not be like those we think are bad representations of Christianity, we’ve adopted a legalism of a different sort. 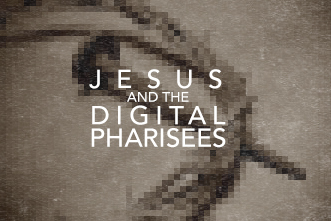 In Luke 18, Jesus shares a haunting parable about who is justified in the eyes of God. I’m struck by a few things in this passage. I’m guessing everyone in the audience thought that they were not in this self-righteous group. It was everyone else who needed to work on their pride. Jesus then sets up a story of two people going to the temple to pray, a common occurrence in that culture. You first have the religious person, the spiritual one, who enters a time of prayer with pride. He wants to be seen as being prayerful and utters a public declaration, “I thank God I’m not like … ” The people he names are people held in contempt by the culture, people who are “safe” to mock for their sin. Easy targets of ridicule and scorn. These are the people we might mock on Twitter and seek to distance ourselves from with heated denunciations or humorous take-downs. You can even envision the hashtags from this Pharisee’s prayer: #robber #evildoer #adulterer. Then the Pharisee, wanting to squeeze out every bit of public praise, narrows his focus to “and even this guy, the tax collector.” Here he is calling out the other man to enter the temple to pray, the guy with the worst reputation in the community, the easy target for manufactured outrage and public scorn. But Jesus, poking holes in the self-righteousness of the Pharisee, turns the narrative focus on the tax collector, who enters the temple, head down, full of remorse.